Having just had our myofaxial therapy at the Eastwood Libis area with Dr. 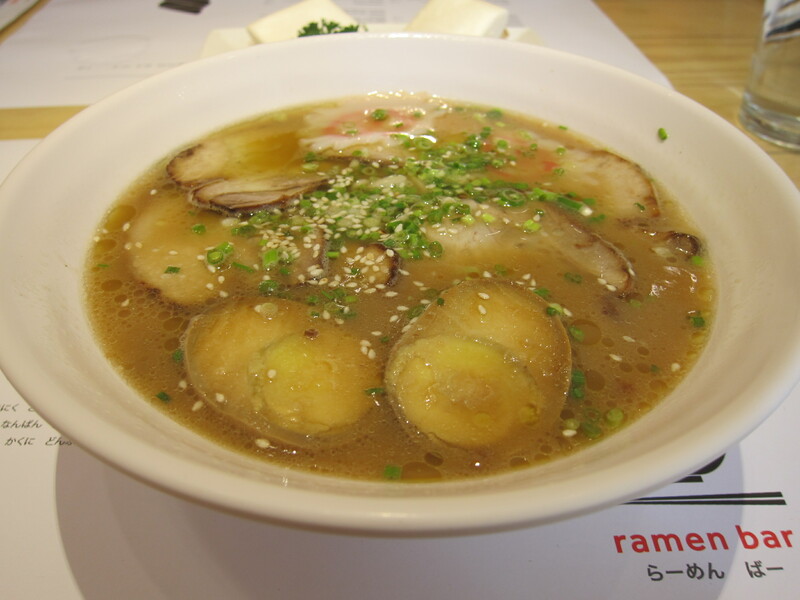 Au, we decided to have an early lunch last Monday at Ramen Bar. 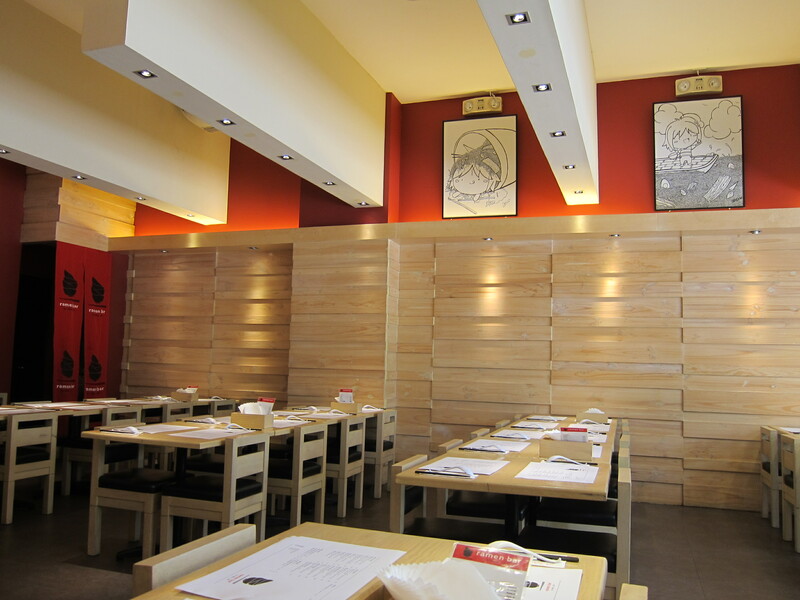 Ramen Bar is located at the ground floor of the Eastwood mall.Its a quaint restaurant. The menu and the ambiance felt like I was transported back to Momofuku Bar in New York sans the people queuing outside. 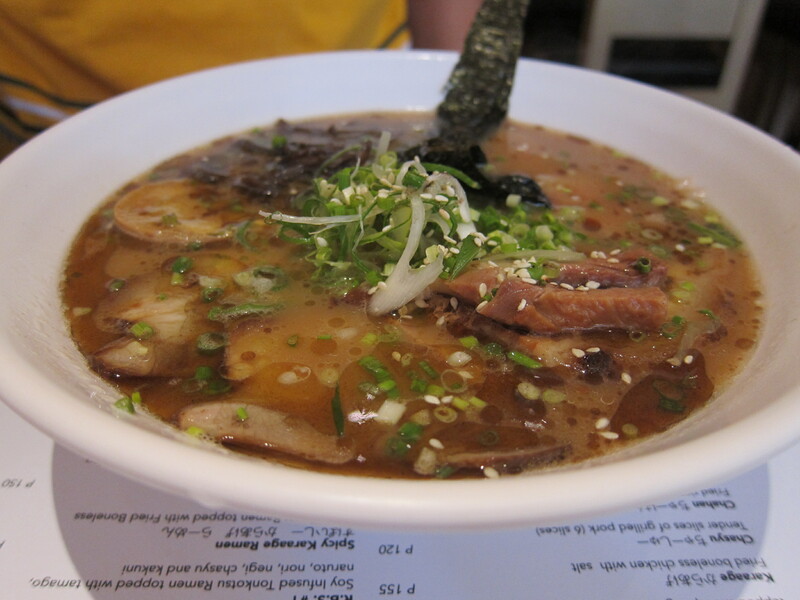 Hubby and I have been looking for a restaurant that serves authentic Japanese ramen – one that has kakuni instead of just chasyu on their ramen. 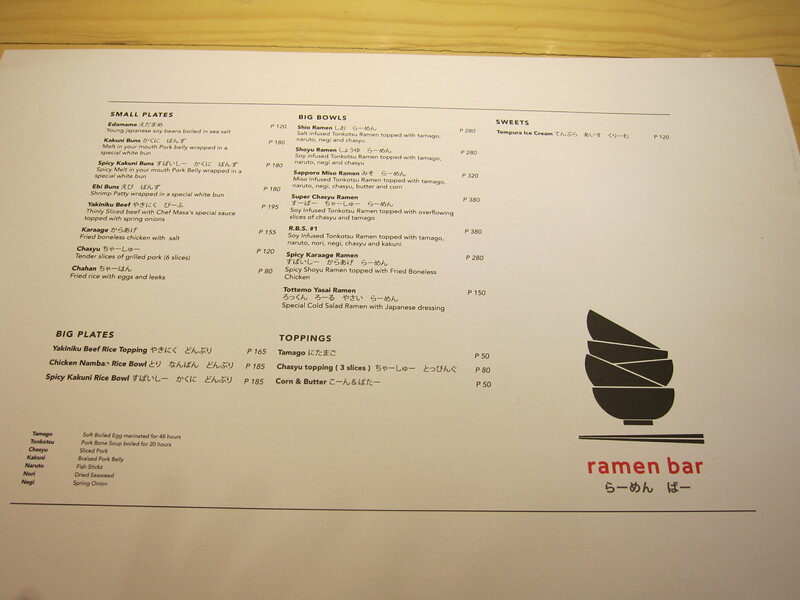 And we found it here at Ramen Bar! Here is their offering. Nice, its focused and not too many stuff to choose from. We had the same stuff ordered in Momofuku. 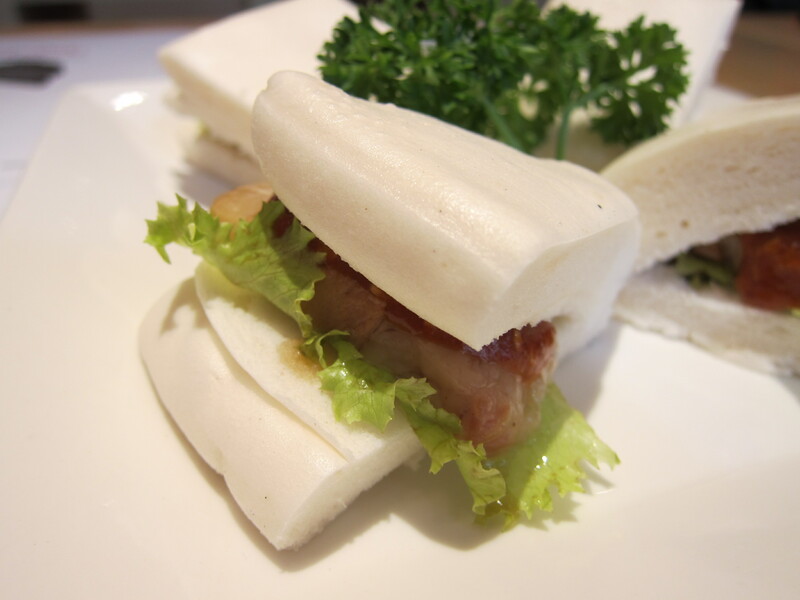 This is pork belly wrapped in white bun. In Chinese, we call this Kua Pao. I liked the spicy sauce on top. The pork belly was too fatty even for me but it was definitely tender. The description said Soy Infused Ramen topped with overflowing slices of Chasyu and Tamago. The Tonkatsu is pork bone soup boiled for 20 hours. The soup was very tasty! The Chasyu slices were thin and tender. The eggs were not your typical tamago, they were more like soy eggs. No complaints as they were tasty. This ramen was topped with tamago, naruto, nori, negi, chasyu and kakuni. The kakuni definitely made it worth it. Too bad there wasn’t a ramen with just the kakuni on it. Kakuni is braised pork belly. Unlike the ones in the Kakuni buns, this didn’t taste like eating fats only. The soup definitely made a lot of difference, as well. Over-all, the food was lovely. The kakuni in the ramen was very tasty and made the ramen authentic. We will definitely be bringing my mother-in-law to this place when she comes back from her trip abroad. We were able to get a 50% off discount for their ramen using the Enjoy voucher (Buy 1 take 1 on ramens of equal or lesser price).